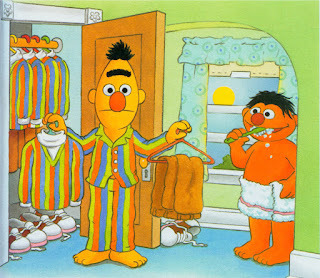 This morning, Bert asks Ernie, “What can I wear? My clothes are all the same! Can we go shopping? “Ernie says “Yes, that will be fun.” Bert brushes his teeth and then they go to the big department store. First, they buy some blue pants for Bert. Next they go to the sneaker store to buy brown and white sneakers. After that, they buy Bert a new sweater. “I like this one!” says Bert. It is orange, blue and green. Finally, they ride the bus home. 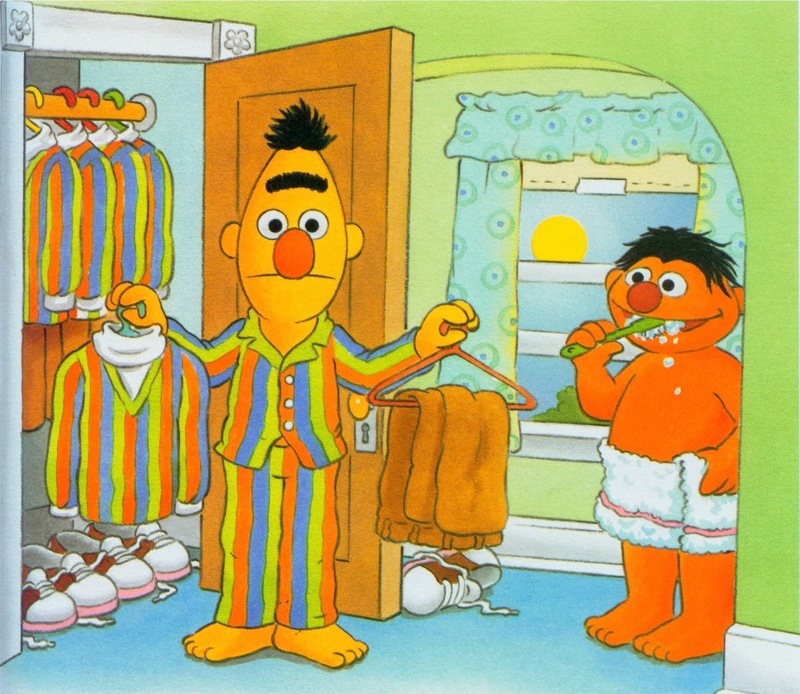 When they get home Bert looks at his new clothes. They are the same as his old clothes! "I guess there was nothing wrong with my old clothes after all, Ernie!"